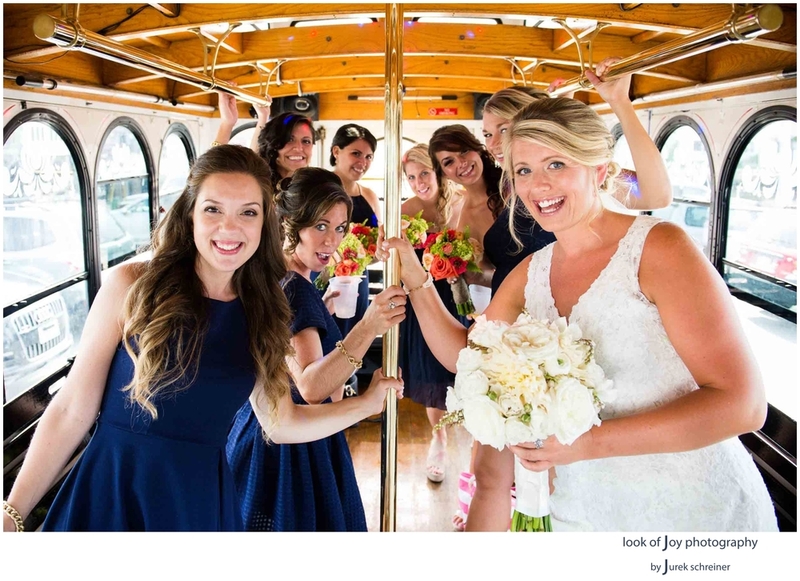 Leah and Ryan live in Rockport, MA, and if you have this gorgeous town at your door step, there is no need to drive anywhere else to tie the knot! Ryan is one of Rockport's finest lobstermen, and after the two of them had seen each other in their wedding attire for the first time, the whole bridal party hopped onto his new boat and we went out to enjoy the beautiful day and grab some nice images. Such fun! We took some creative portraits right in front of the Motif No.1 as well as later on at the Headlands, where the ceremony took place. An unusual amount of birds appeared while Ryan and Leah got married. A trolly brought them to the Rockport Golf Club afterwards. A couple of touching speeches were followed by a delicious dinner, and later that night the newly weds went to town with the tunes of Cape Ann's Groove Therapy, rocking until the Super Moon that day was high up in the sky. What a special day! And I'm glad I was there to photograph it all. Thanks to Makeup by Shannon Nicole, Timothy S. Hopkins Catering, Alessia Connolly for the hair dressing and Fascia Murray, the officiant. Enjoy this slideshow video of some of the highlights from Leah and Ryan's wonderful wedding in Rockport, MA.